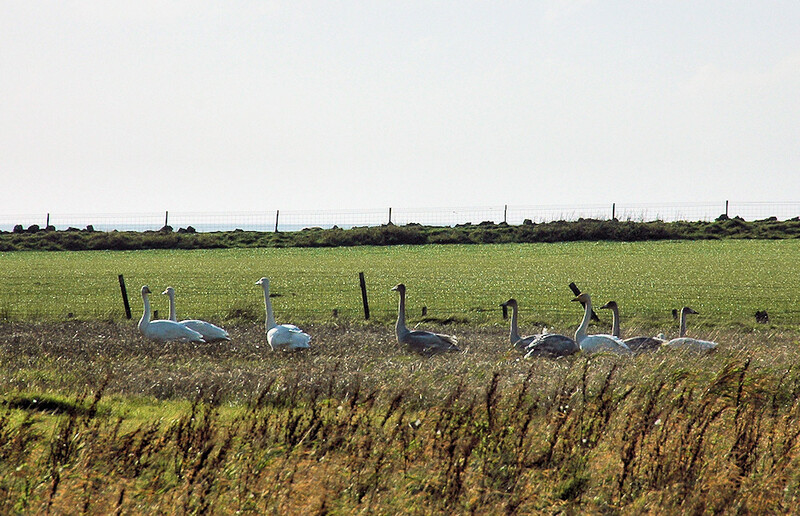 Eight Whooper Swans in a field between Kilchoman and Coull, the Atlantic in the distance behind the fence. This entry was posted in Landscape, Repost, Sunny Weather, Wildlife and tagged Coull, Islay, Kilchoman, Rhinns of Islay, Whooper Swans by Armin Grewe. Bookmark the permalink.